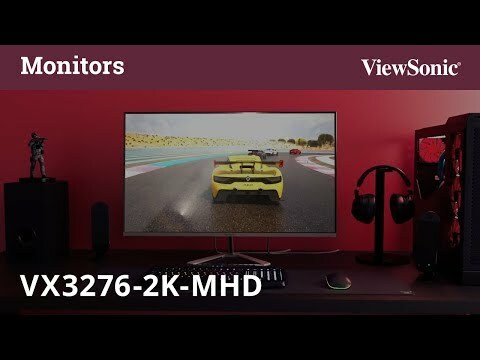 The ViewSonic VX3276-2K-mhd is the perfect blend of style and performance with features that include a sizeable 32” frameless bezel, a minimalist design, and WQHD (2560 x 1440) resolution. Design features such as an ultra-slim profile, metallic silver triangle stand, and a sleek edge-to-edge frameless bezel give the monitor a premium feel that fits nicely both at home and in the office. VX3276-2K-mhd leverages IPS-type panel technology and rich 10-bit color to produce an extensive array of vibrant colors with wide viewing angles. Stereo sound is provided by the monitor’s dual integrated speakers, while DisplayPort, Mini DP, and 2 HDMI ports offer flexible connectivity options for both general usage and gaming. Enjoy rich, vivid color with consistent levels of brightness, no matter the vantage point. 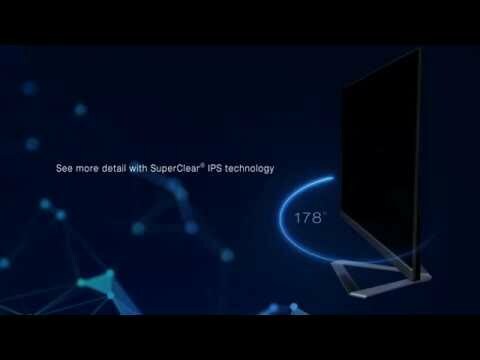 With SuperClear® IPS-type panel technology, the VX3276-2K-mhd monitor delivers the same image quality whether you are looking at the screen from above, below, the front, or the side.